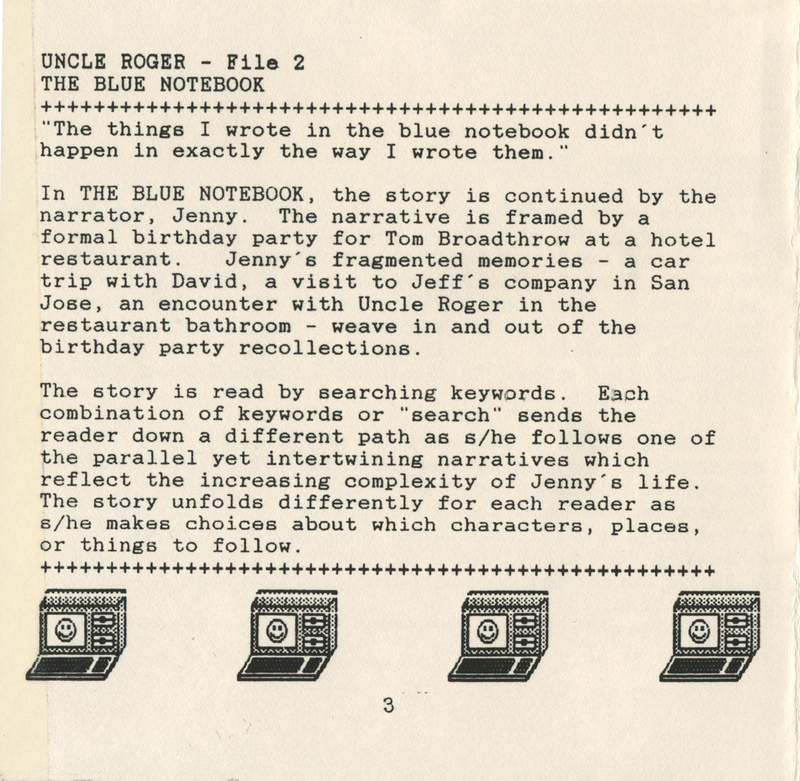 Pathfinders, co-authored by Dene Grigar and Stuart Moulthrop and funded by a grant from the National Endowment for the Humanities , is a multimedia, open source book that documents the experience of early digital literature, specifically pre-web hypertext fiction and poetry, from 1986-1995. The book focuses on four specific works of born digital literature: Judy Malloy’s Uncle Roger, John McDaid’s Uncle Buddy’s Phantom Funhouse, Shelley Jackson’s Patchwork Girl, and Bill Bly’s We Descend. The end result is an approach to digital preservation that extends access to literary work produced on platforms and software programs no longer available and threatened with obsolescence.